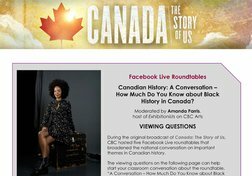 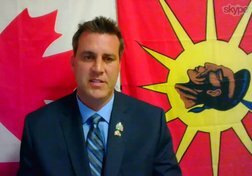 To encourage an important dialogue about Canada’s history, CBC hosted a series of Facebook Live digital conversations in spring 2017 to accompany broadcast of the series Canada: The Story of Us. 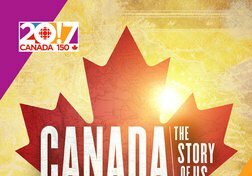 The goal was to foster discussion and debate about the series, its stories and generally, what’s on the minds of Canadians when it comes to Canada’s history. 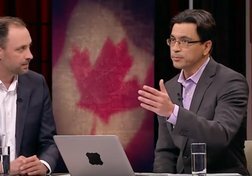 Canadian History: A Conversation How Much Do Canadians Know about our Military History? 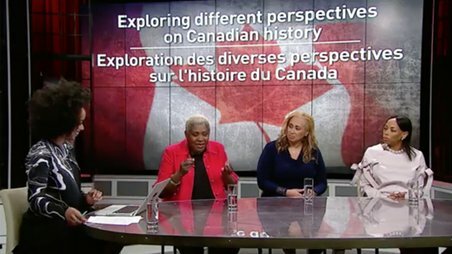 Canadian History: A Conversation How Much Do You Know about the Roles Women Played in Canadian History? 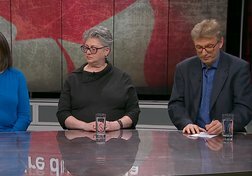 Who were the key women in Canadian history? 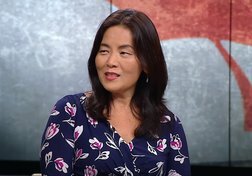 How well do we know their stories? 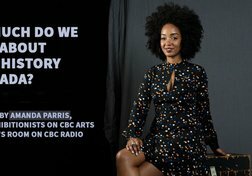 Moderated by Marivel Taruc, host of CBC's Our Toronto, the panel includes: Pamela Sugiman, Ryerson University; Funke Aladejebi, York University; and Tarah Brookfield, Wilfrid Laurier University.